Not only do these allegations call in to questions Moore’s fitness to serve in the Senate, but they could also complicate Republicans’ massive tax reform push. First and foremost, the allegations are serious in nature on their own and have raised questions about Moore’s fitness for office, with a slew of Republican senators saying Moore should leave the race if the allegations are true. In addition to the seriousness of the allegations, experts and analysts say that it could cause some serious problems for the GOP’s recent tax reform push. This distraction, said Chris Krueger of Cowen Washington Research Group, is an issue no matter who wins. Moore is already known as a volatile politician, and Senate Majority Mitch McConnell expressly favoured his primary opponent, Luther Strange. So, Kreuger said, Moore will not only provide an unwelcome distraction but also can’t be counted on even if he does win. 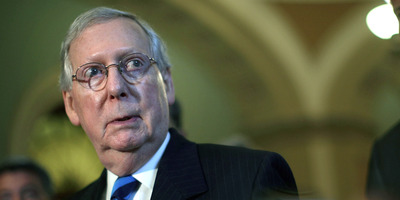 “Regardless, you have a major distraction and come December 12, someone who will not be a reliable vote for Mitch McConnell to bank,” Kreuger said.